When it comes to jewelry I say go big or go home! 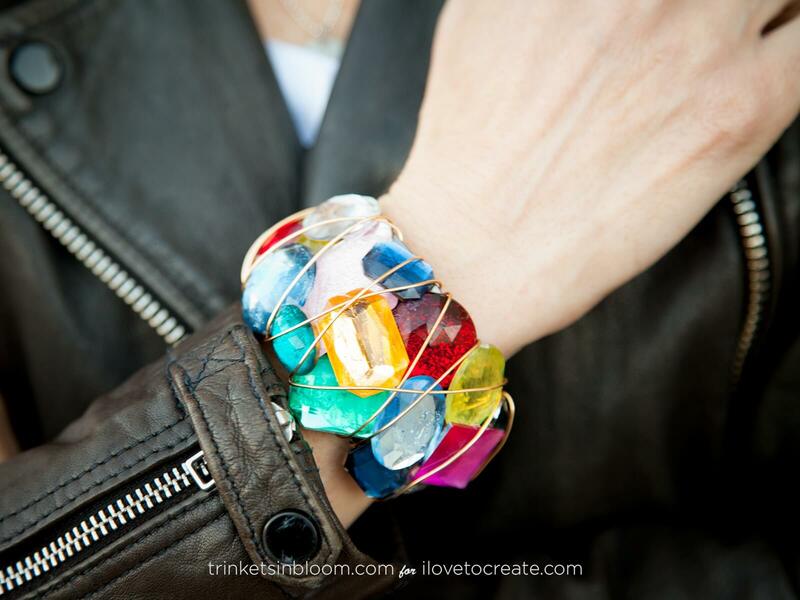 Ok, not really, but I do LOVE big, bold, colorful, sparkling jewelry, especially when it’s fun to make and doesn’t cost a fortune! 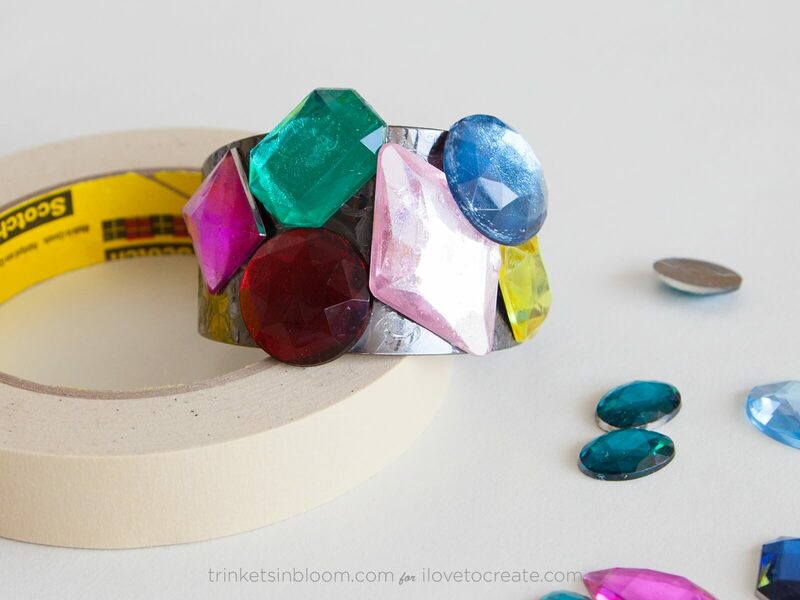 Creating a stunning Jeweled Cuff is easier than you think and Aleene’s Jewelry & Metal Glue ensures that it will hold together with professional results. 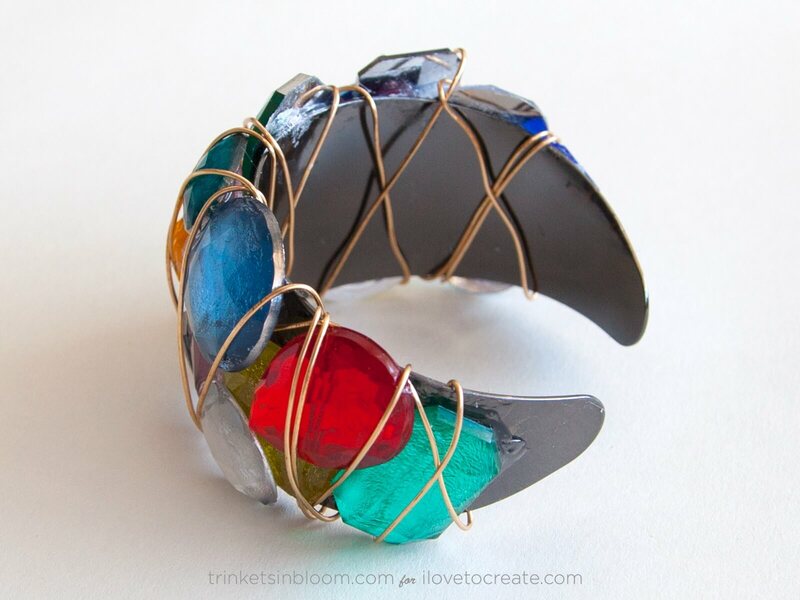 Decide where you are going to place your jewels on your cuff. 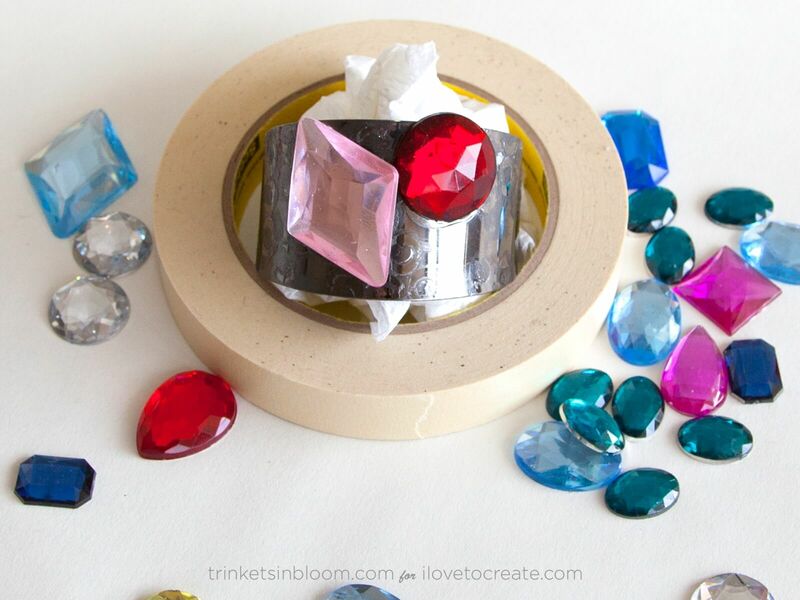 I recommend starting with the largest jewels and then adding the smaller ones to fill in the gaps. 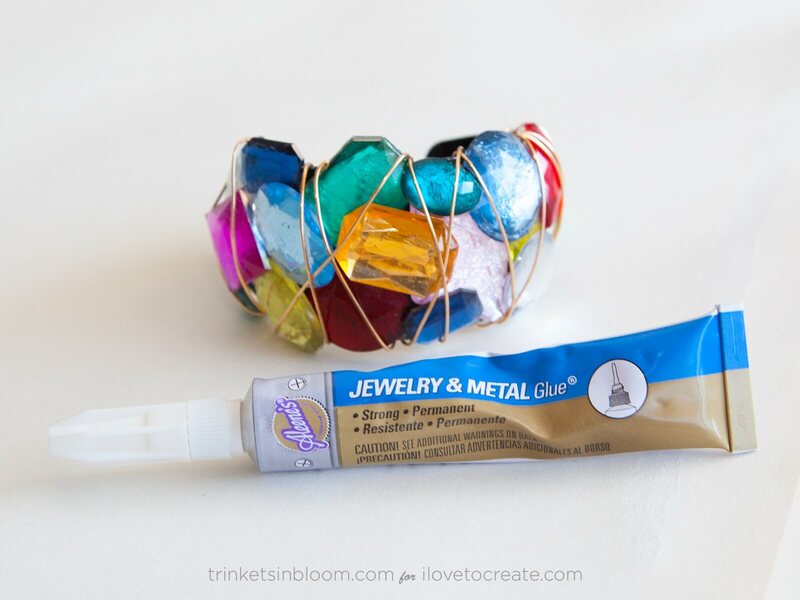 Add your Aleene’s Jewelry & Metal glue to the back of your jewels and press them onto your cuff. It may take a little bit for the glue to hold so I recommend using something to hold up your cuff as you work. I used a scrunched up paper towel and a roll of tape. 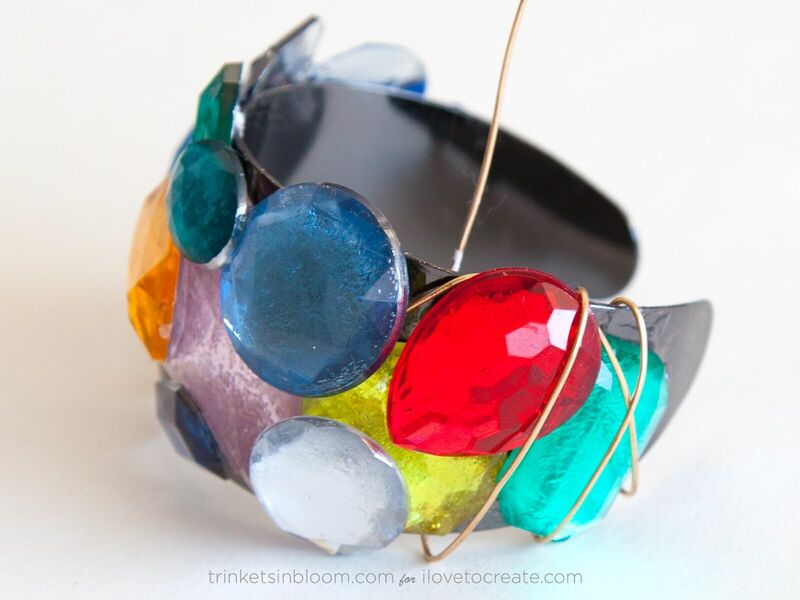 As you add your jewels you can alternate your colors and shapes to make it more interesting. Keep adding your jewels until it looks they way you want. 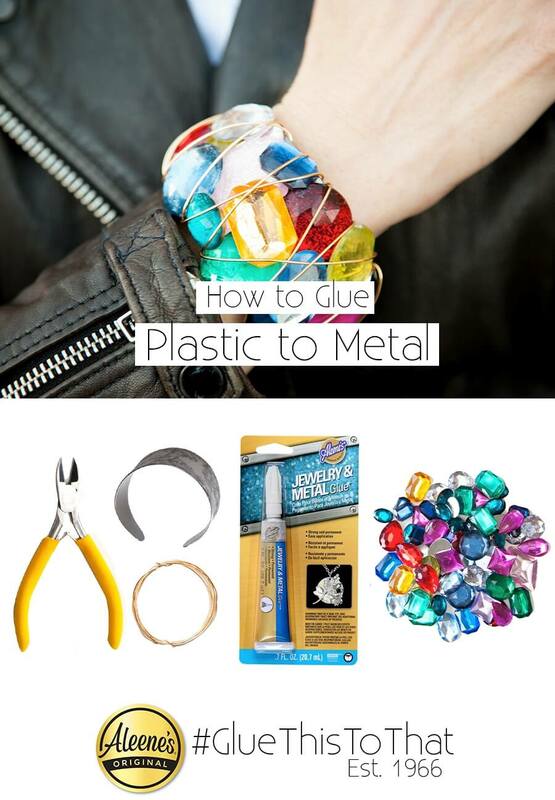 Make sure your glue is dry, none of your jewels should move, before you add your wire. 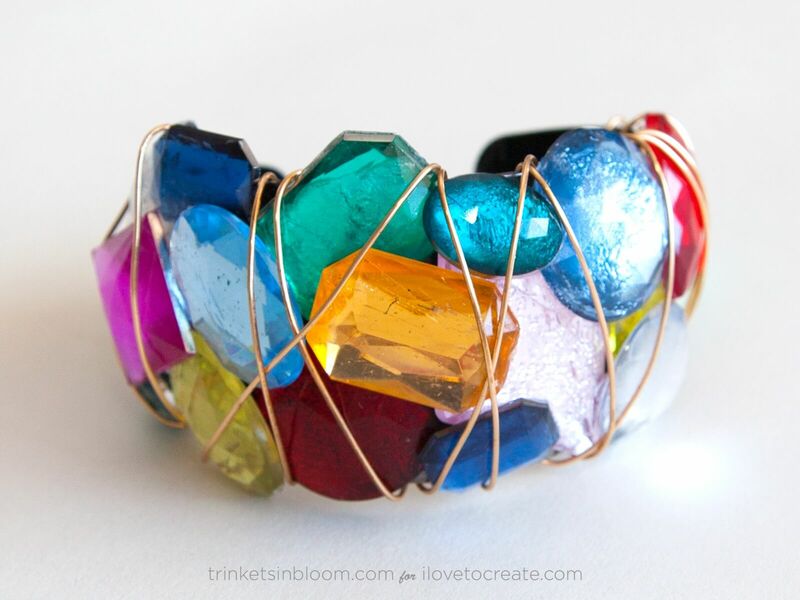 When starting to wrap your wire, find a place under one of your jewels to tuck the end of your wire into. 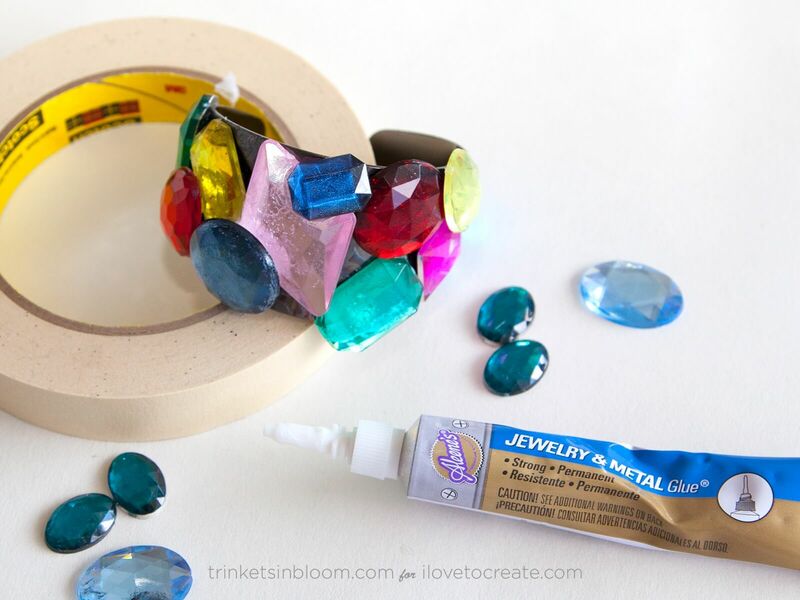 Add a small drop of your glue to hold it in place. 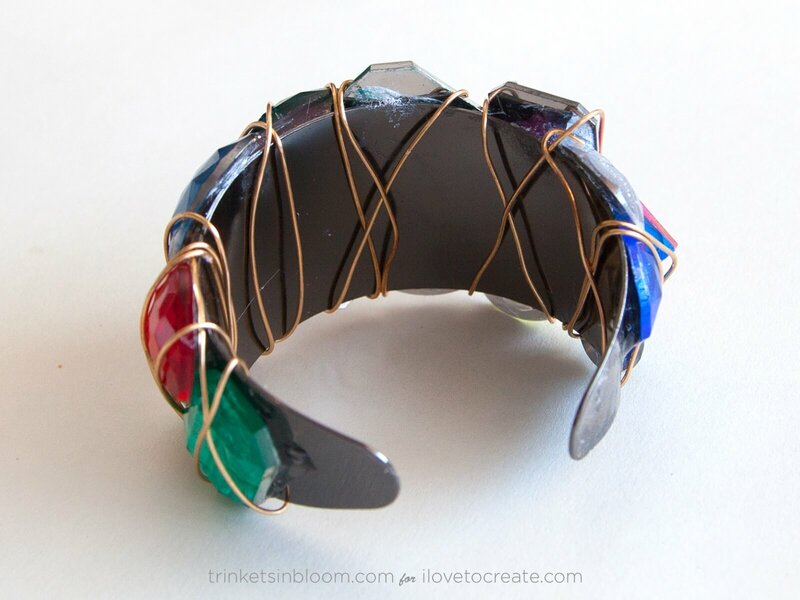 Wrap your wire around your entire cuff, cross it over the jewels and itself to create the look you want. When you are finished tuck your end under a jewel and secure with glue as you did at the start. 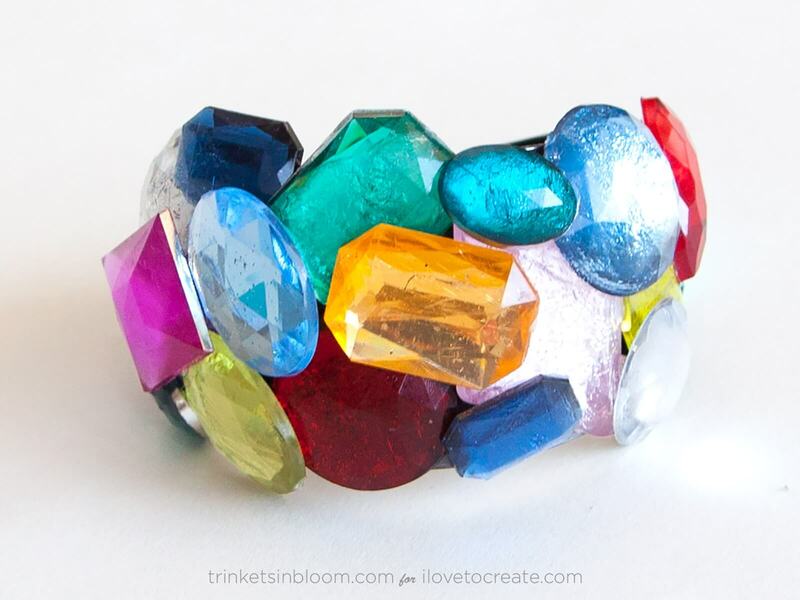 With tons of color and even more sparkle this fabulous statement cuff will look great with a little black dress or jeans and a tee.